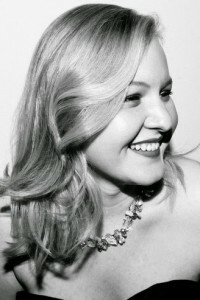 Esther Brazil has been singing Dido in Purcell’s Dido and Aeneas with Opera Lyrica on tour around the south of England including St Paul’s Covent Garden on 17 February and Brompton Oratory on 20 February. Robert Hugill's review says "Esther Brazil made a very fine Dido indeed, really taking control of the role. She seemed to have strong feel for Purcell's vocal line and combined this with musicality and great personal charm. A stylish singer, she brought poise and intensity to Dido and was very moving in the final farewell." Another review on fringeopera.com says "the bewitching effect of the whole evening is down to its two phenomenal female leads – Belinda Evans (a Britten-Pears Young Artist) as the goddess Venus, and Esther Brazil (Royal Academy graduate and high flying concert soloist) as Dido – whose judicious performances highlight the common aspect between these two operas: a tormented woman...Esther Brazil’s ‘When I am Laid in Earth’ is a spellbinding climax to the evening."